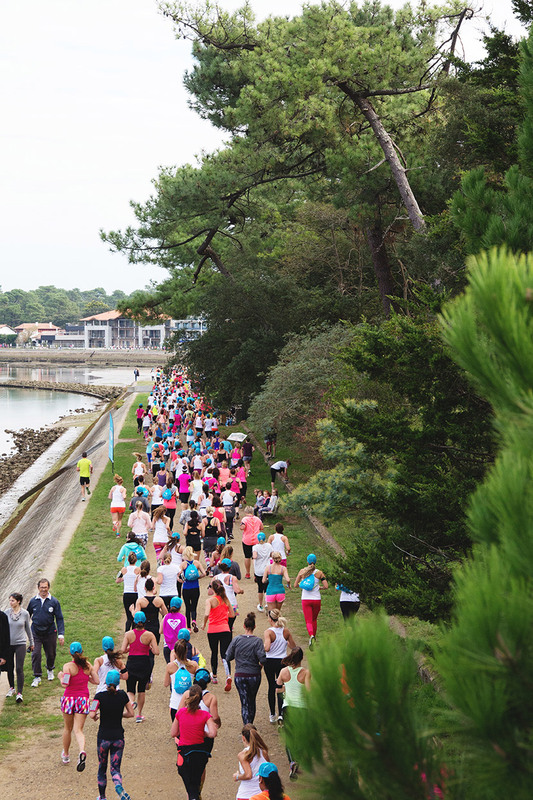 While Round 3 got underway at the #ROXYpro France, over 2000 girls joined team riders; Kelia, Bruna, Monyca, Bianca, Justine, Lee-Ann, Chelsea, Lisa and Sierra to take Hossegor Lake by storm for the final European stop on the 2015 #RUNSUPYOGA global tour. 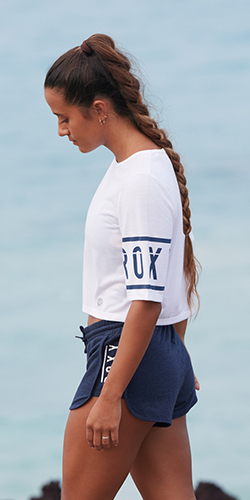 What better way to start a day full of fitness, fun and friends, than an energising yoga class on the lake’s tranquil shoreline. 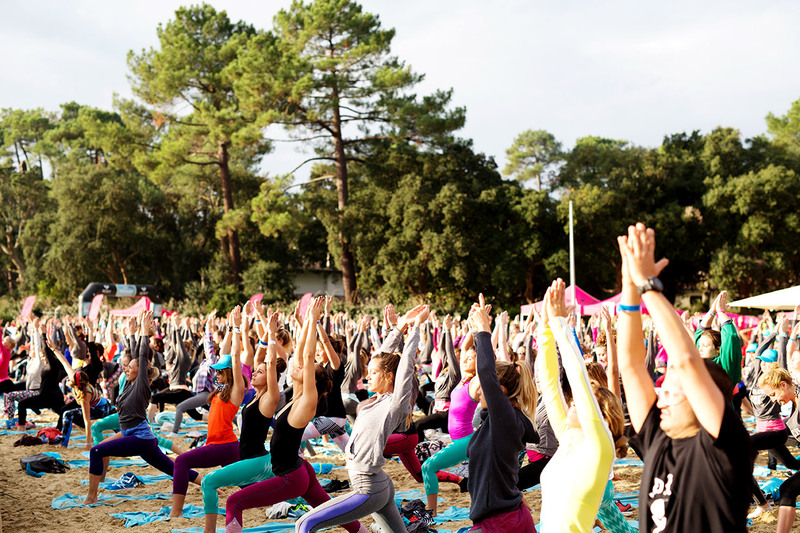 Inspired by our surrounds and the energy of the participants we warmed up with our best downward dog and warrior pose. 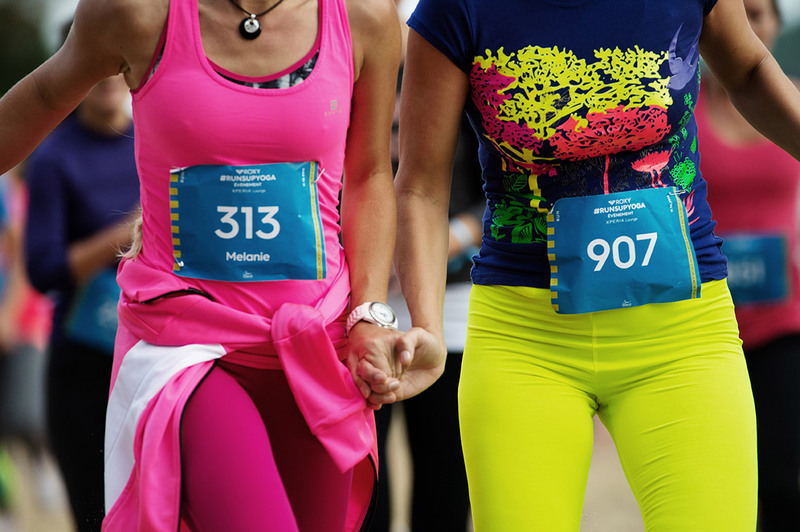 As much as we would love to nama’stay on the sand, we dusted off our toes and laced up our trainers, ready for the 6km run around the lake. 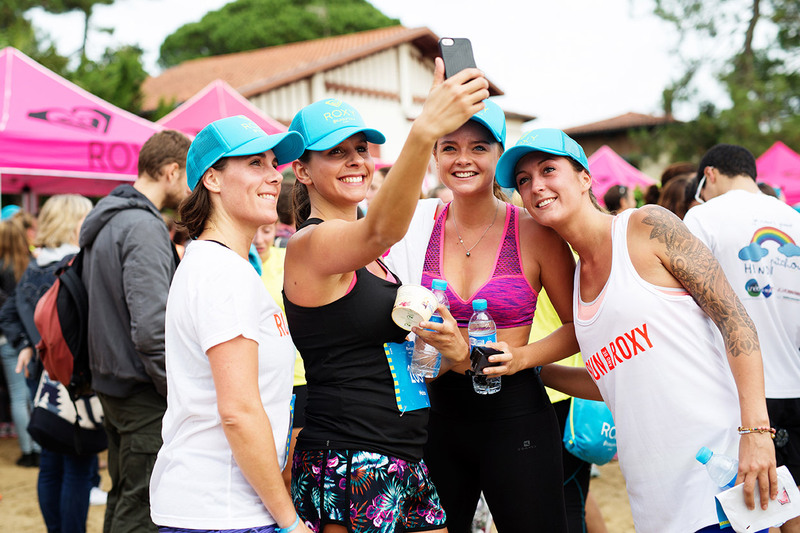 We loved seeing the girls sharing plenty of #RUNSUPYOGA stoke as they ran the course, encouraging and motivating each other along the way. 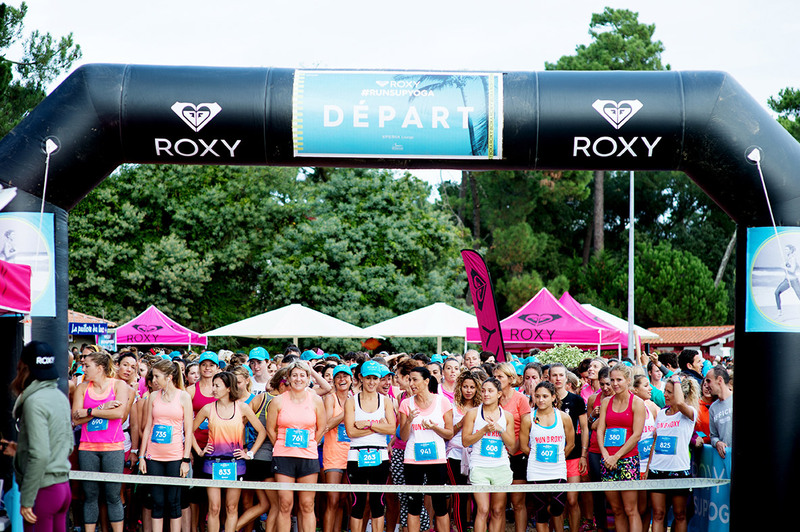 With the final runners crossing the line to cheers and applause of the crowd, we took time out before the SUP race to celebrate 25 Years of ROXY in style, manicures, flower crowns, a team signing and some live music from Justine. 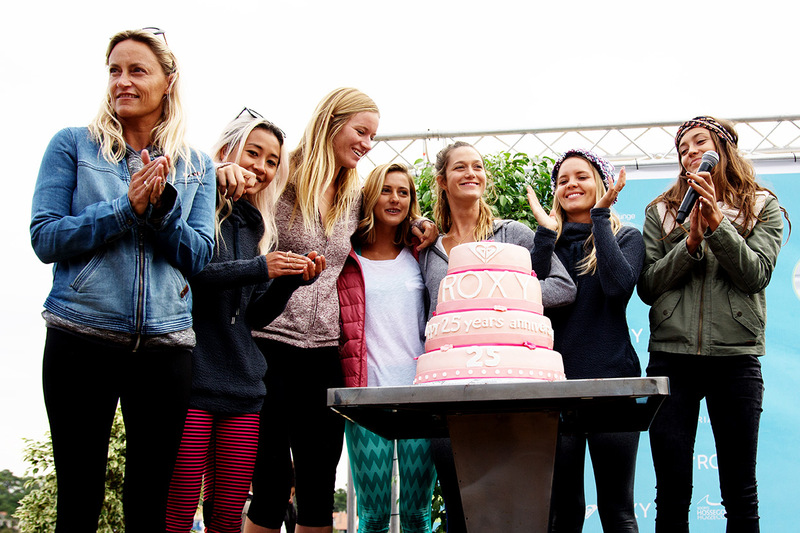 What’s a birthday party without cake!? 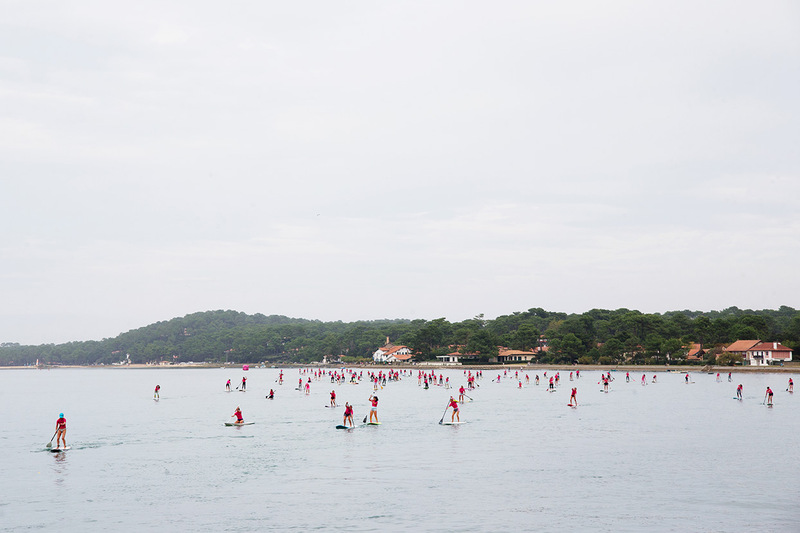 Rested and ready for the final element of the day we grabbed a SUP and hit the lake for a paddle battle of the best kind, with plenty of laughs and a little healthy competition. 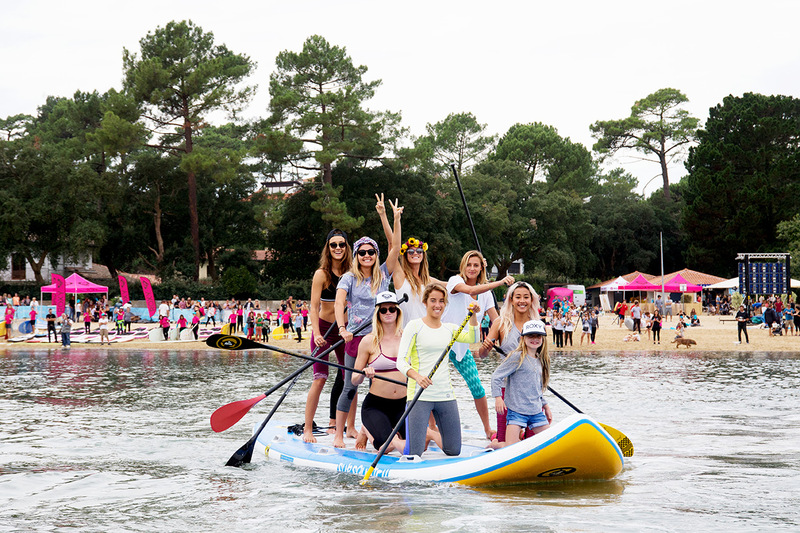 The ROXY team showing the SUP racers how it’s done! 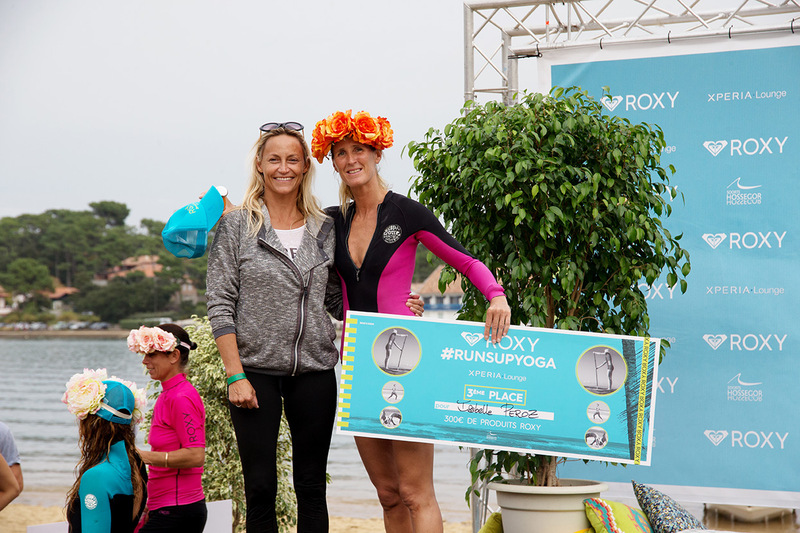 A moment to remember, crowned with flowers by 4x World Champ and ROXY legend Lisa Andersen! 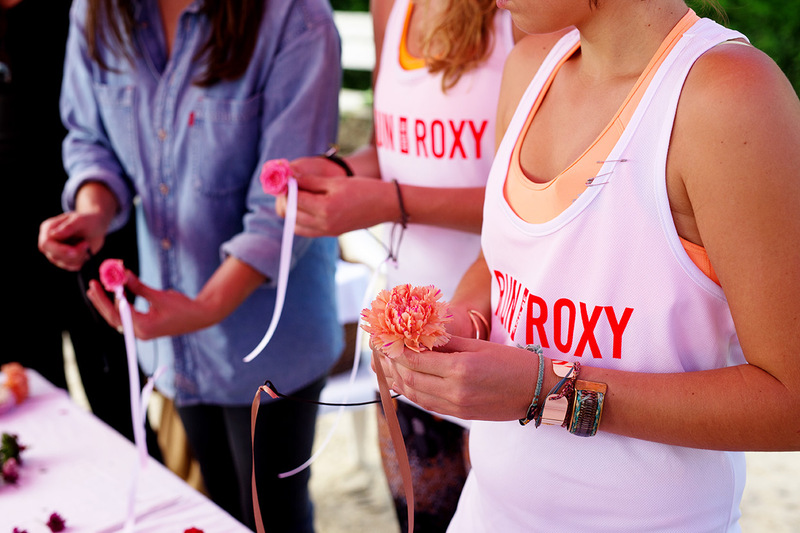 A BIG thank you to everyone who joined us today, we had so much fun sharing the #ROXYfitness fun with you! 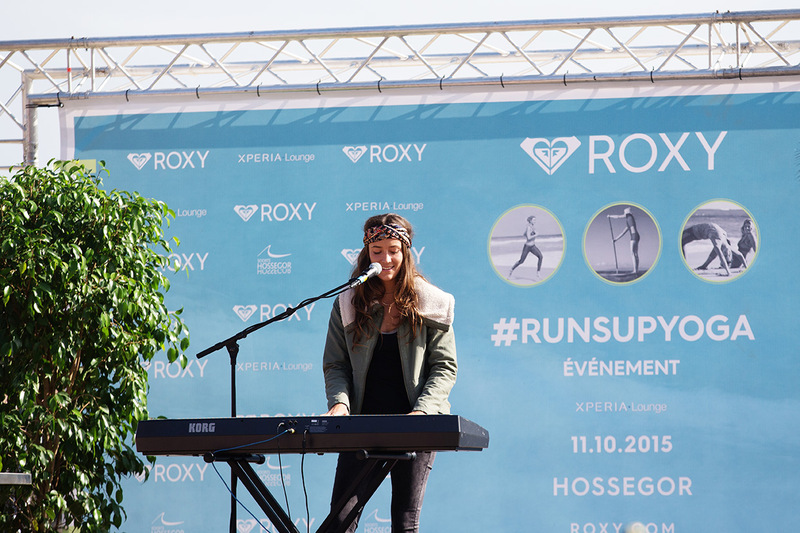 Keep sharing your pics on Instagram, Twitter and Facebook tagging @roxy and #RUNSUPYOGA. 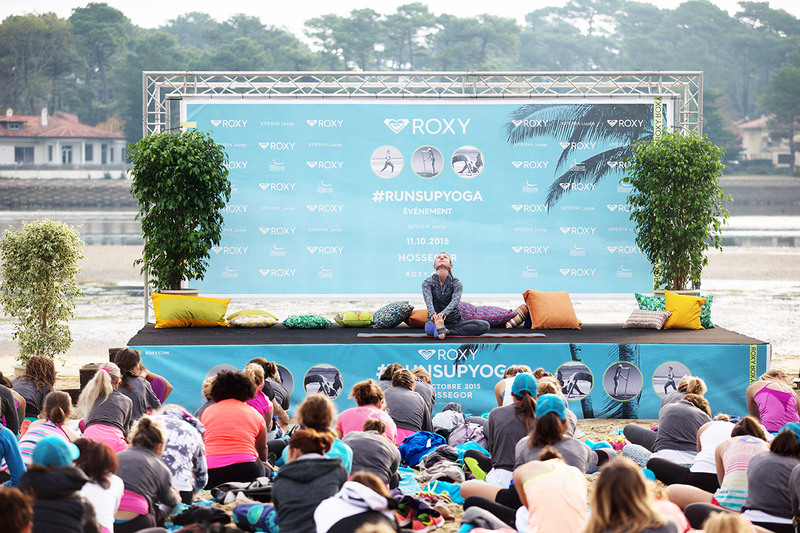 In upcoming weeks, the ROXY #RUNSUPYOGA global tour will hit new countries and continents: October 17th - Okinawa, Japan // October 24th - Manly Beach, Sydney // October 25th - Playa Serena, Coronado, Panama.